Form-fitting floor layer's trousers in a new unique technical stretch fabric for extra comfort and freedom of movement. 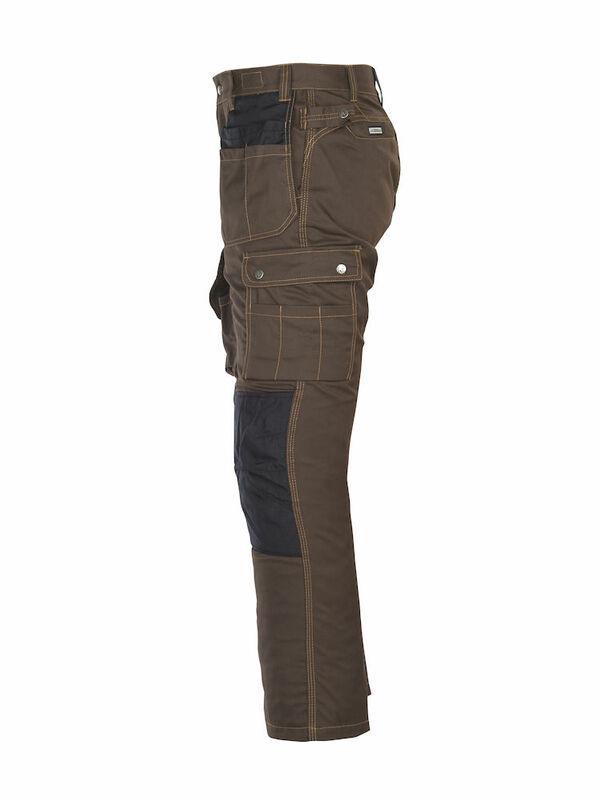 Pre-bent knees with spacious Cordura® knee pad pockets increases durability. Thigh knife pocket for carpet layers/ knives. 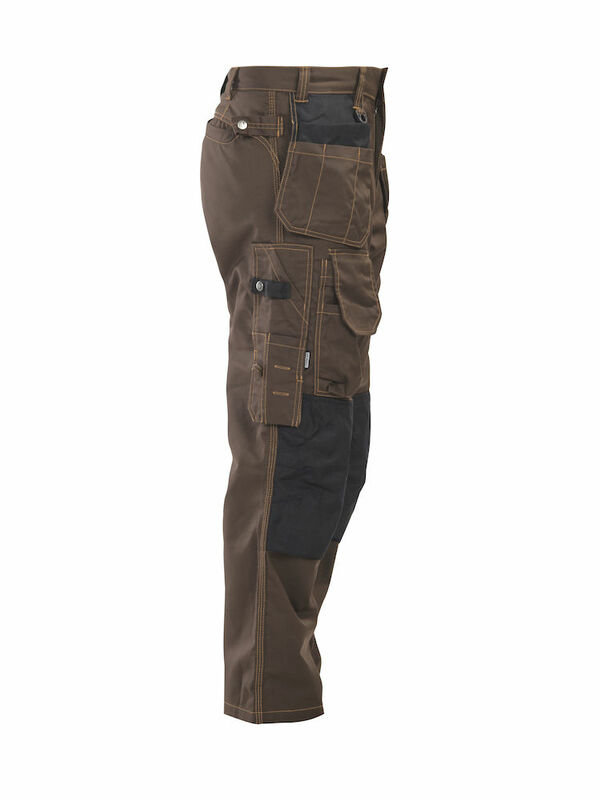 The trousers are also naturally suitable for other tradesmen who make high demands when it comes to function and fit. Holster pockets with extra compartments. Inset front pockets. Inset back pockets. Hip pocket for phone. Adjustable hammer loop. Front D-ring. Pocket for carpet laying knives on right thigh. Rule pocket with knife loop. Left leg pocket with inside phone pocket and ID card holder. Pre-bent knees with external knee pad pockets in Cordura®. 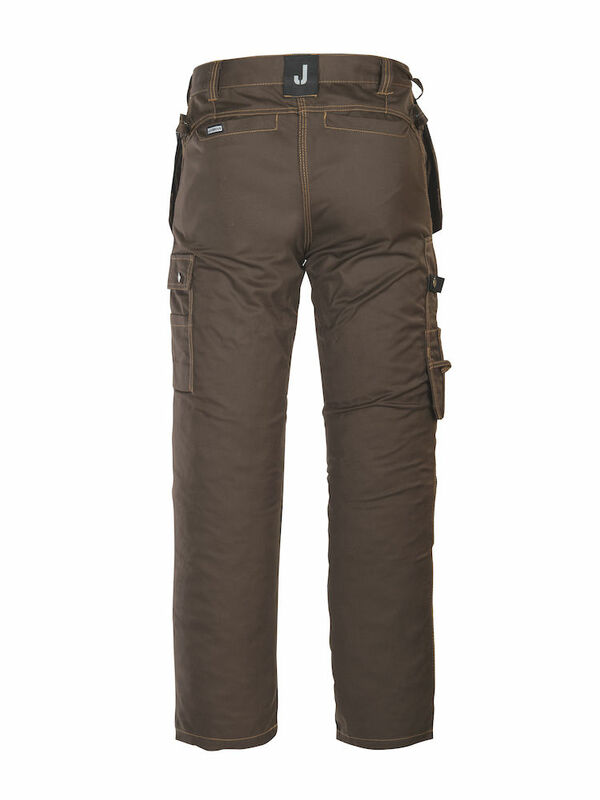 The material for this deluxe pair of floorlayer workpants originates in Italy. It is very comfortable to wear and very durable for work. You will enjoy these workpants! Material: 65% polyester/35% cotton, 290g/m2, Technical stretch.